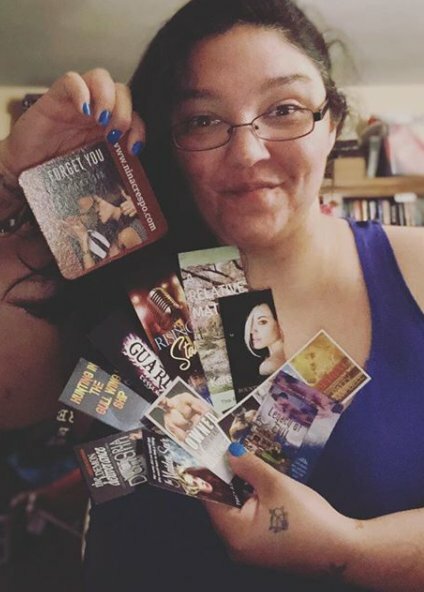 Romance Authors: Are you ready to meet readers and share your bookmarks / postcards with them? Our curated list of over 330 romance readers want to know about your titles in a more physical setting. You could be the next author on their list. We can ship your promo to 100, 200 or all 300+ readers. We have done the work of finding the readers and getting their shipping address. You just need to sign-up and send your bookmarks & postcards to us. See below for limitations when it come to weight, size and thickness. We no longer do PayPal refunds because PayPal now charges the seller fee's for refunds. Any refunds will be credit towards other NOR promotions. 2. We package multiple items up into goody shipping envelopes. Most packages have around 6-8 bookmarks / postcards. 3. We ship the bookmarks / postcards to readers! May 2019 Shipment. Promo to us by May 15th. These romance bookmark / postcard envelopes are similar to local mail promotion envelopes, but for readers who are just seeking author promo items. If you are doing a new sponsorship of the Bookmark Club, don't send the same item as a prior shipment. We want to make sure our readers get new content each time they get a shipment. Each reader gets around 6-10 pieces of promo per shipment. If you have author friends, encourage them to sign-up so we can get a full group together. If we don't get enough authors for a ship month we will delay until we have the needed amount. We currently plan on shipping every other month, but will change that to monthly with enough bookings. Night Owl Romance reserves the right to reject promo for reasons of quality, content or for any reason. We do not offer refunds after booking unless a promo is rejected or we are not able to ship. If you have questions if your promo is acceptable, send us an email at Reviews@nightowlreviews.com with a snapshot. Sharing a Series - Include series numbers on at least one side!